The Ghostbusters franchise is coming back again. Entertainment Weekly reports that Sony Pictures has tapped Jason Reitman (the son of Ivan Reitman, who directed the original 1984 movie) to a sequel set in the world of the original Ghostbusters . It's planned for a summer 2020 release. 1; Dan Aykroyd, Ernie Hudson, and Bill Murray – will return to reprise their roles. (The film's fourth star, Harold Ramis, died in 2014.) According to The Hollywood Reporter Reitman is looking to cast two male and two female teenagers for the movie. It appears that Reitman's sequel will completely ignore Paul Feig's 2016 reboot of the franchise, which includes the main characters as women, starring Kate McKinnon, Leslie Jones, Kristen Wiig, and Melissa McCarthy. While generally well-received by critics, the film was the focus of intense criticism from fans and internet trolls. In particular, Jones was targeted by a racist harassment campaign on Twitter. While Sony had high hopes for the movie as the first installment of a potential franchise, the film's lackluster performance effectively killed off those plans, and Feig later said it would be "very surprised" if a sequel materialized. Around the same time, Ivan Reitman noted that there were other Ghostbusters projects in the works, signaling that Sony still saw value in continuing the franchise, just as it was with Feig's new team. A sequel to the original pair or films has long leg in the works. Following Ghostbusters II Newly created a script for a third film (later used for the 2009 video game), featuring the original cast along with some newcomers. Over the years, there were various other attempts, but those projects never came to fruition, and Ramis' death seemed to put a nail in the potential sequel's coffin. That ultimately led to Feig's 2016 reboot, along with a new "all-male" installment led by Channing Tatum, which also hasn't happened. 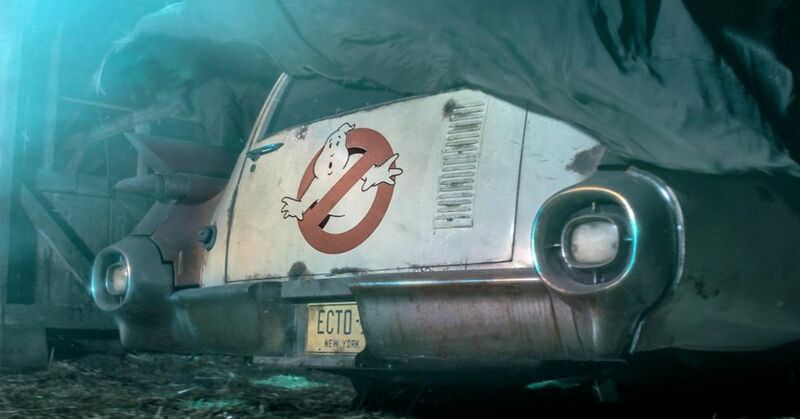 Various Hollywood trade papers note that the Ghostbusters franchise remains a priority for Sony, even if the 2016 movie disappointed at the box office. Any sequel will inevitably be tainted by the backlash against Feig's reboot, and return to the original story as though Sony is trying to head off further resistance and online craze. Reitman's new project might satisfy continuity hounds that loved the original films and / or the 1980s animated spinoff series, but this could be another demonstration that studios are willing to want before online backlash. Hopefully, this new movie will retain some of the reboot's high-minded goals and run with them.